Halloween parties are always so much fun and I always try and find something new and different to do for our annual party each year. This year we will be doing Pumpkin Bowling. This is a quick, easy to put together and best of all cheap party game. 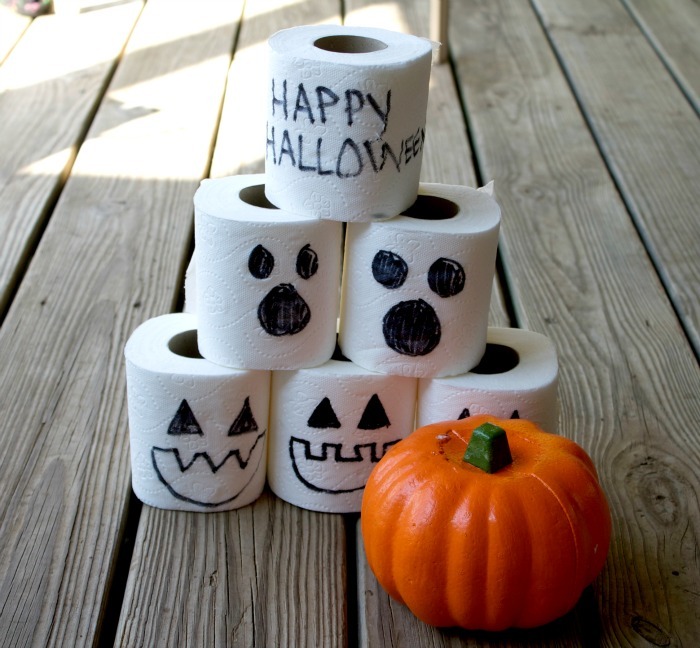 It cost me around $2 for all the supplies and I know that it provide hours of Halloween fun. The best part about pumpkin bowling is that there is no right or wrong way to do it. 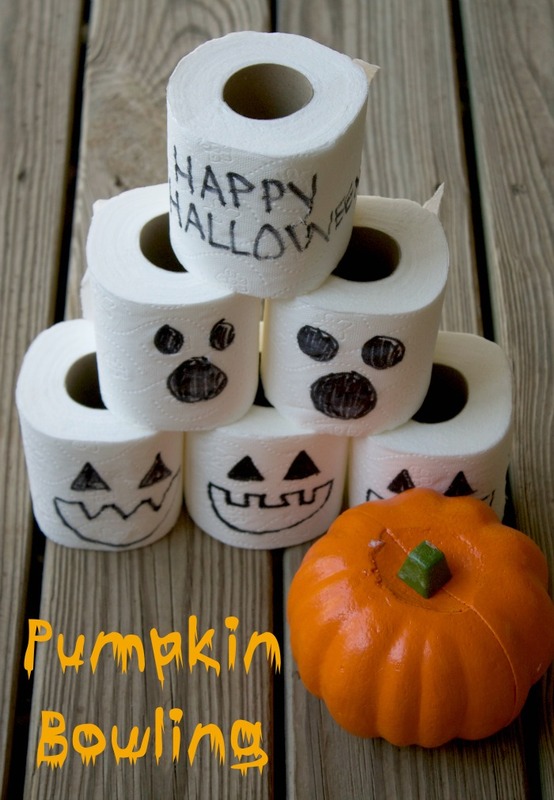 You just take your toilet paper rolls, and draw pumpkin faces on them. You can do any kind of face you like. And for even more fun, let the kids draw the faces on them. Next set them up on top of each other in a triangular shape with 3 on bottom, two in the middle and one on top. Now you’re ready to bowl. 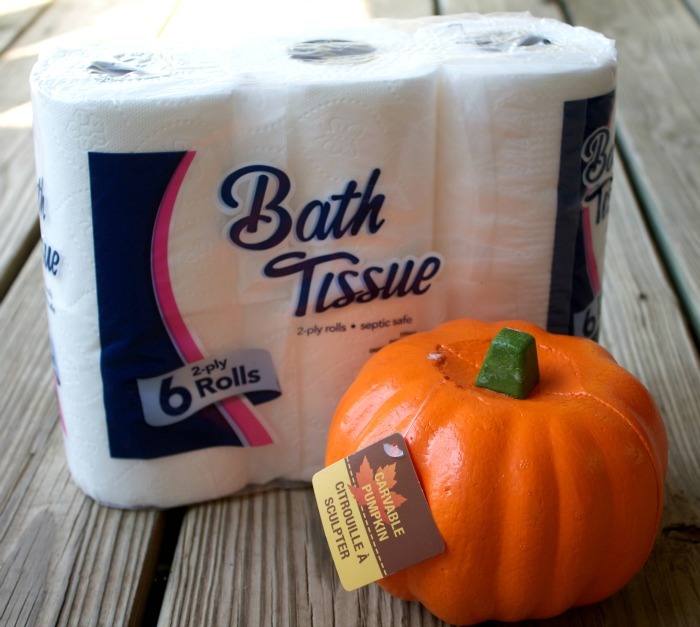 Just throw your pumpkin towards the toilet paper and see how many you can knock down in one throw. 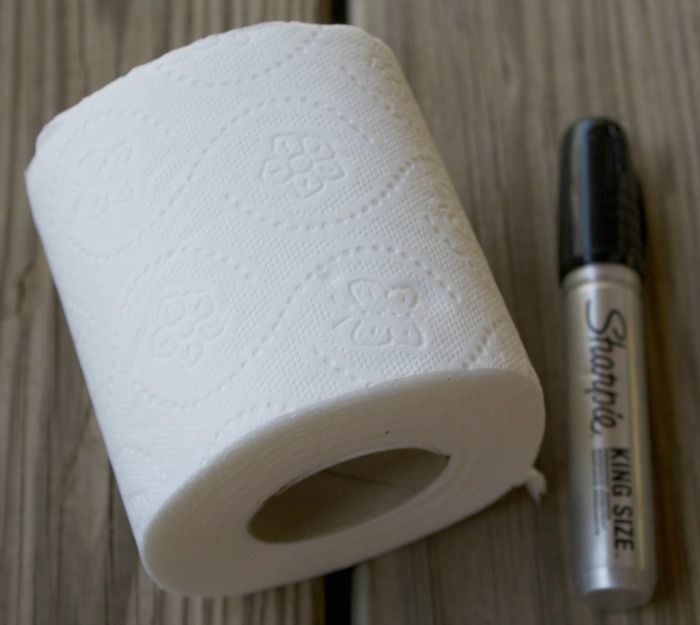 Each roll is worth one point. I’ve shared with you one of the ways my family has fun together, now I’d love to hear from you! 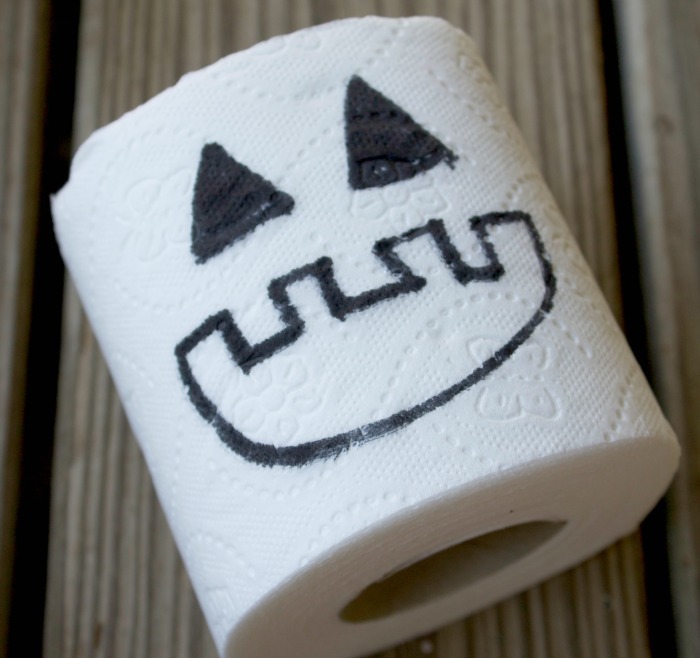 Share with me one of your favorite things to do during October? I’m with you!! This month is super insanity for us right now!! Hurray for “secret weapons” like this amazing Family Pizza Combo to give us a night off now and then for some fun! I bet my kids would love this game!